Is Samuel Beckett's return to Broadway worth the wait? 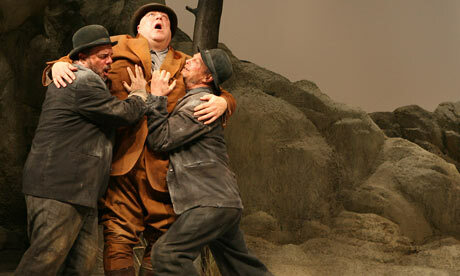 Alexis Soloski of The Guardian is somewhat unenthusiastic about the revival of Beckett's Waiting for Godot on Broadway. On the one hand, the New York production boasts the acting talents of Nathan Lane and Bill Irwin, and early signs suggest that it is John Goodman's bold and theatrical Pozzo that is winning everyone's attention. But aside from a fairly positive assessment of the lead performances, Soloski labels the show as little more than a 'beautifully lit' but disappointingly 'lukewarm revival'. You can read the article in full by clicking here.